The Los Angeles Chargers promote responsible drinking and positive fan behavior at StubHub Center. The Chargers alcohol management plan ensures that fans have a safe and fun experience. The Chargers are committed to creating a safe, comfortable, and enjoyable experience for all fans, both in the stadium and in the parking lot. We want all fans attending our games to enjoy the experience in a responsible fashion. Interfering with the progress of the game, going onto the field or throwing any object onto the field or on the stadium premises. Any action warranting eviction and/or confiscation of game tickets by SDPD or stadium security. Event patrons are responsible for their conduct as well as the conduct of their guests and/or persons using their tickets. Even if season ticket holders give away or sell their tickets to a game, the account holder is accountable for the actions of those using the tickets. Accounts can be forfeited partially or entirely for violations of the Code of Conduct. Stadium staff will promptly intervene to support an environment where event patrons, their guests, and other fans can enjoy the event free from the above behavior. Event patrons and guests will be subject to ejection without refund and potential loss of ticket privileges for future games for violations of the Code of Conduct. 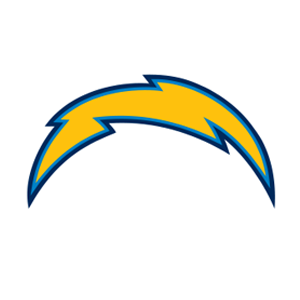 The San Diego Chargers and Qualcomm Stadium thank you for adhering to our Fan Code of Conduct. Let’s all enjoy Gameday…the Right Way! Report Fan Conduct issues. Call or text your location and concern to 619-641-5151. Message and data rates may apply. Download the free GuestAssist App for iPhone or Android. Continuing in 2016, the four teams from the AFC West will compete to encourage football fans to use or be the designated driver. The AFC West Designated Driver Challenge is generating competition and excitement around the designated driver program. For every fan who makes the pledge to be a designated driver at Qualcomm Stadium, during regular season home games, the Chargers will score a touchdown and earn six points in the Challenge. You’ll find the “Bud Light Good Sport” Designated Driver booths in five locations throughout the stadium, including in the stadium parking lot at the Chargers Bud Light Power Party (located in Lot F2) and inside the stadium at Elevators 1, 2, 4 and Stair P. Officers from the California Highway Patrol staff the booths on game day. Fans who pledge to be designated drivers receive a choice of complimentary bottle of water, O’Doul’s non alcoholic beverage or $2 off an All-You-Can-Drink soda and a chance to be selected as the Designated Driver for the Game. Designated Drivers for the game are recognized and receive a special gift from the Chargers and Bud Light.